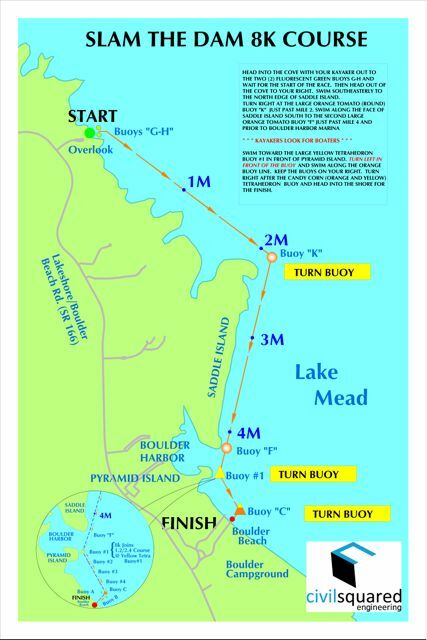 11:00 am: Course closes for all swimmers. Questions for the RD about the Grand Slam? 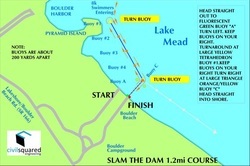 Upon successful arrival at Boulder Beach, Grand Slammers will be greeted by "Elfish" and our helpful volunteers. You will check in. You must arrive within 15 minutes of the 1.2 mile start to proceed.